The kitchen is one of the most expensive and well loved rooms of the house, and according to a study by Britannia Living they found that 52% of people said their kitchen was the room with most financial value, followed by their living room. 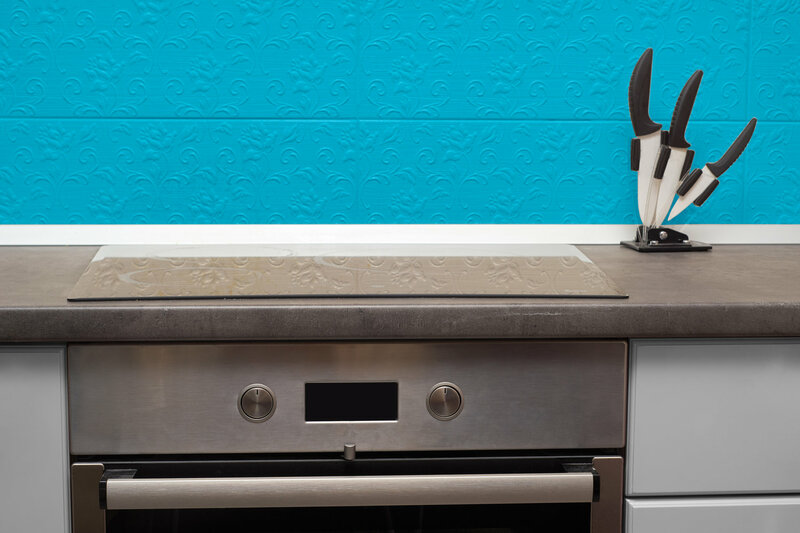 The survey also revealed that 7% of these respondents spent an excess of £5,000 on their kitchen, and 39% forked out over £1,000 to give their beloved kitchen a face lift. It is no secret that the kitchen is well and truly the heart of the home – after all, it is where the magic happens. From making a brew to cooking those precious dishes to feed the family or socialising with guests, the kitchen plays an important role in everyday life. Here are our four Kitchen Style and Trend Predictions for Summer 2017. Marble is one of the hardest and most durable materials in the world – but that’s not why we think it will be one of the hottest trends of 2017. We predict this will be a popular choice because, marble is one of the most beautiful options when it comes to choosing a kitchen worktop that will take your breath away. Whether you want an off-cream , white with grey or a darker colour, this gorgeous material will become the focal point of your kitchen. Coming in a variety of colours and styles, it is an absolute necessity. The easy to clean surfaces will make your kitchen look clean, fresh and polished even when a baking session is in process. Alongside this, marble kitchen worktops will raise the value of your home, and make the perfect pairing with natural wood kitchen cupboard doors. Handleless Kitchens offer a clean, sleek and modern aesthetic that’s hard to achieve from any other type of kitchen look, and this is one of the reasons why we think its popularity will increase during summer 2017. Despite the linear and plain look, handleless kitchen cupboards ooze elegance. 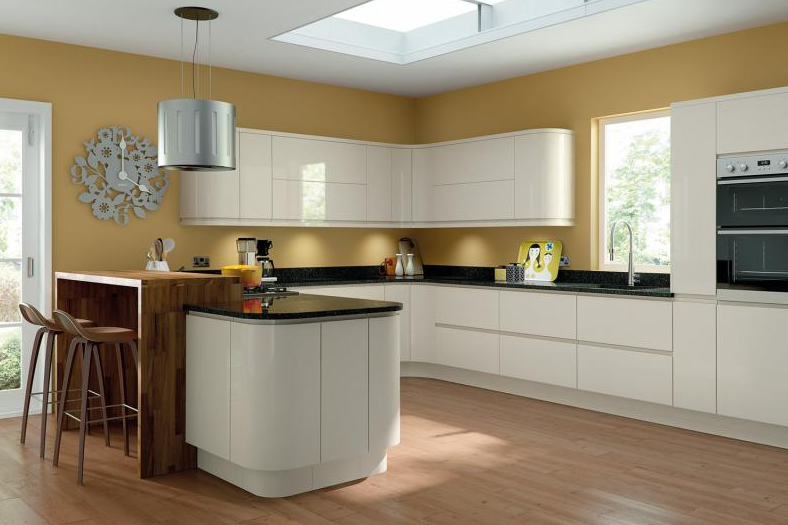 Handleless kitchen doors and drawers come in a variety of colours and are easy to paint, meaning it is easier to change the look of your kitchen and style it exactly how you want to. A sleek and flexible kitchen is one of the most desired looks for many homeowners, and a handleless kitchen will give them exactly that. High gloss white handleless kitchens and high gloss champagne doors are one of our favourites for summer, as these radiant and relaxed tones give the illusion of more space and lighting in the kitchen. 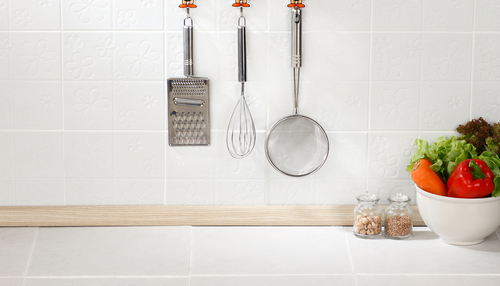 We think that Summer 2017 will see fridges, freezers and modern kitchen utensils hidden by kitchen storage, creating clutter-free kitchen surfaces. 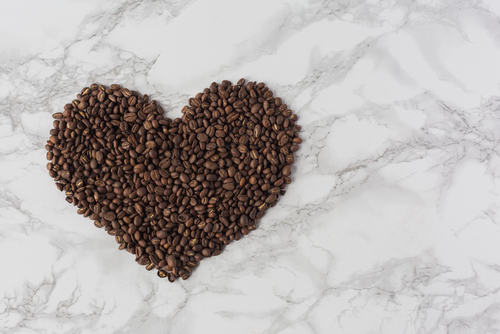 From kettles and toasters having their very own space in a high quality kitchen cupboard to the rise in popularity for deep drawers, we see the future of the kitchen becoming much more streamlined and organised. Kitchen corner storage is already on the rise, and we’ll see growth in larder storage and wall unit storage, giving kitchens a fresh, crisp and contemporary look. A Painted Kitchen offers a more refined and neutral aesthetic – perfect for Shaker doors and Cathedral doors. 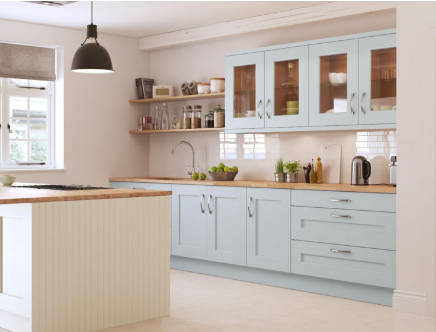 This summer we predict that there will be a shift away from the chunky, bold, acrylic colours and preferences will move towards the painted kitchen cupboards. The classic style of Shaker and Cathedral doors allows for any shade of paint to create a contoured effect, enhance the beautiful doors. Painted Kitchen units are a flexible and flawless design, working well with almost every style – from handleless to natural wood, we predict this style will break the mould this summer. If you’d like advice regarding your kitchen then do not hesitate to get in touch!